"Forever More: Is Only The Beginning"
with the novel “Purgatory Road!" on Saturday, October 13, 2018 at 11 a.m.
SCOTTSDALE (August 31, 2018) — On Friday night Jeb J. Rosebrook passed away at the age of 83 surrounded by his wife, son and daughter in Scottsdale, Arizona. He was an acclaimed writer for film and television, as well as a novelist, playwright and journalist. Rosebrook began his career in the television and film industry with his first job at NBC in New York in 1956. 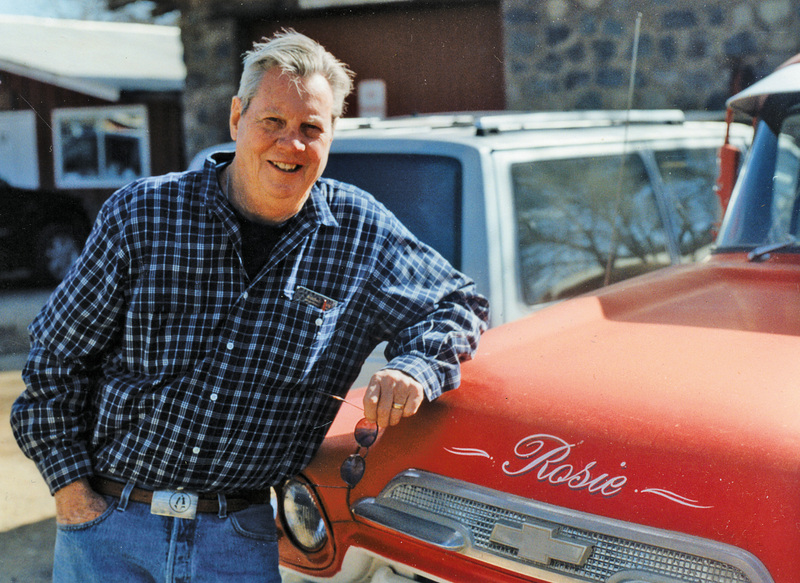 After graduating from Washington and Lee University in Lexington, Virginia, in 1957, Rosebrook returned to New York to pursue his career in the entertainment industry, before moving West to pursue a career in advertising. Rosebrook worked in advertising in Phoenix for three years before joining Foote, Cone and Belding advertising agency in Los Angeles in 1961. While working in advertising by day, he wrote his first novel at night. In 1965 E.P. 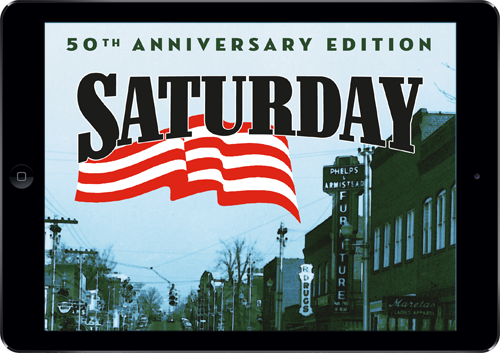 Dutton published Rosebrook’s first novel, Saturday. In 1967, he left advertising to pursue his lifelong goal of writing for film and television. 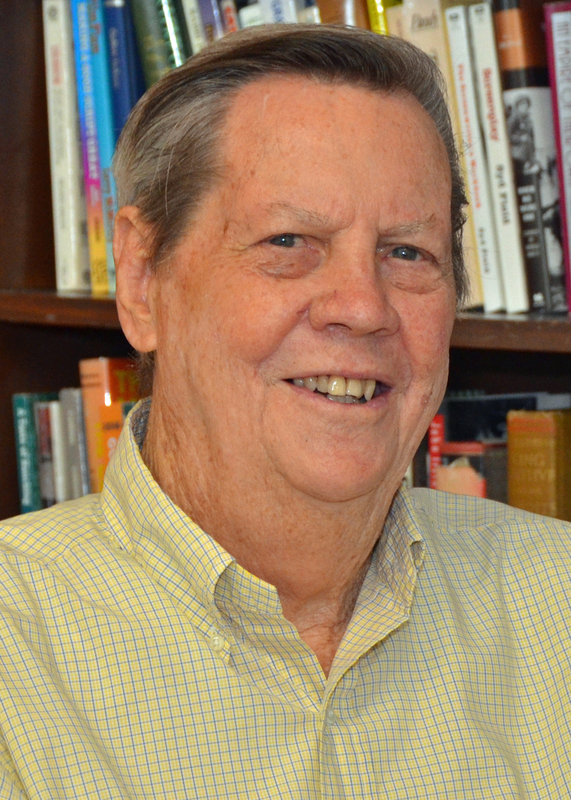 He renewed a friendship with friend, mentor and fellow writer, Earl Hamner, Jr. His friendship with Earl spanned 60 years and was a guiding light throughout Rosebrook’s career. 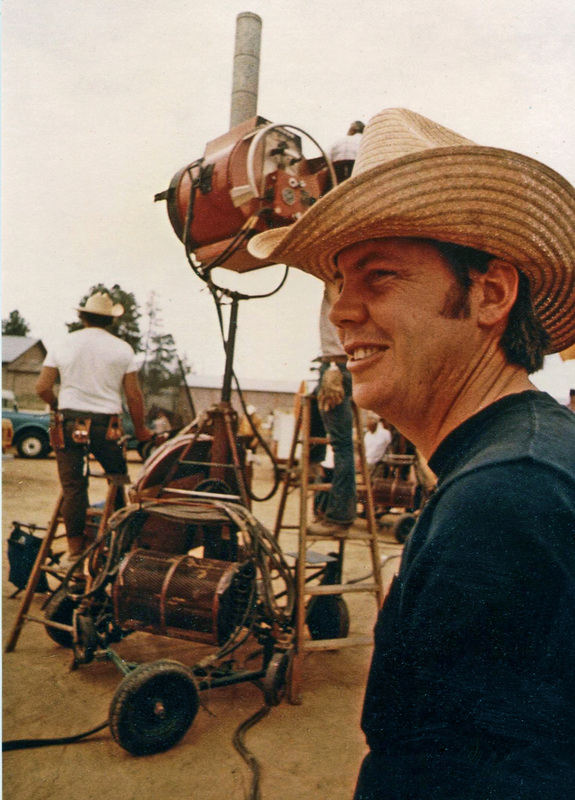 In 1970, Jeb had his greatest break in Hollywood when producer Joe Wizan optioned his story “Bonner” and commissioned Rosebrook’s original screenplay Junior Bonner for actor Steve McQueen and director Sam Peckinpah. 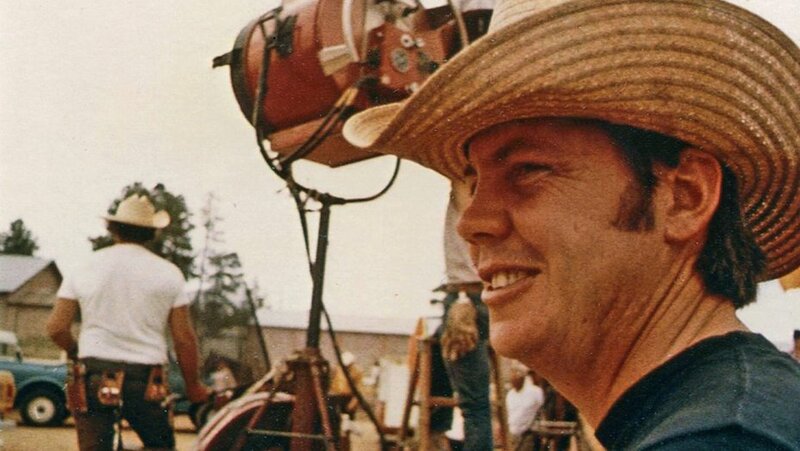 While not a box office success in 1972, today critics consider it a classic film, while both McQueen and Peckinpah both believed it close to their finest work. After the release of Junior Bonner in 1972, Rosebrook became a sought-after writer for episodic television series, movies-of-the week, docudramas and Christmas specials. In addition to working with Earl Hamner on multiple episodes of The Waltons, Rosebrook worked with director Fielder Cooke on Miracle on 34th Street, producers David Wolper and Stan Margulies on I Will Fight No More Forever, producer Norman Rosemont on Prince of Central Park and producer Chuck Fries on The Winds of Kitty Hawk. In 1977, he returned to cinema and was a story and screenwriter for Disney’s The Black Hole (1979). He shared the story credit with Bob Barbash and Richard Landau and screen credit with Gerry Day. In 1981, Rosebrook partnered with well-known Hollywood producer Joe Bryne (producer of The Johnny Cash Show), and as a writing-producing team, they enjoyed a successful partnership until Jeb’s passing, which included the production of the television series The Yellow Rose and The Outsiders, and the television specials, Hobo’s Christmas, The Gambler Returns: The Luck of the Draw, Black Fox: The Price of Peace and Four Diamonds. Over the course of his six-decade writing career, Rosebrook was nominated for two Writers Guild of America nominations for best television dramas, the two-hour episode of The Waltons titled “The Conflict,” and his adaptation of the novel, The Prince of Central Park. For I Will Fight No More Forever: The Story of Chief Joseph, he and co-writer Theodore Strauss received an Emmy nomination for Outstanding Writing in a Special Program – Drama or Comedy – Original Teleplay and the Christopher Award. For his shared screenwriting credit with Gerry Day for Disney’s The Black Hole, Rosebrook also received a Saturn Award nomination for Best Writing from the Academy of Science Fiction, Fantasy and Horror, USA, and a Hugo Award nomination for Best Dramatic Presentation. Additional credits include “The Bugler,” an episode of The Virginian (which was pre-empted by the Apollo 12 moon landing on November 19, 1969), Kenny Rogers as The Gambler: The Legend Continues, the mini-series Mystic Warrior and The Christmas Gift, starring John Denver. In recent years, Rosebrook returned to some of his favorite genres of writing: non-fiction, theater, novels and memoir. 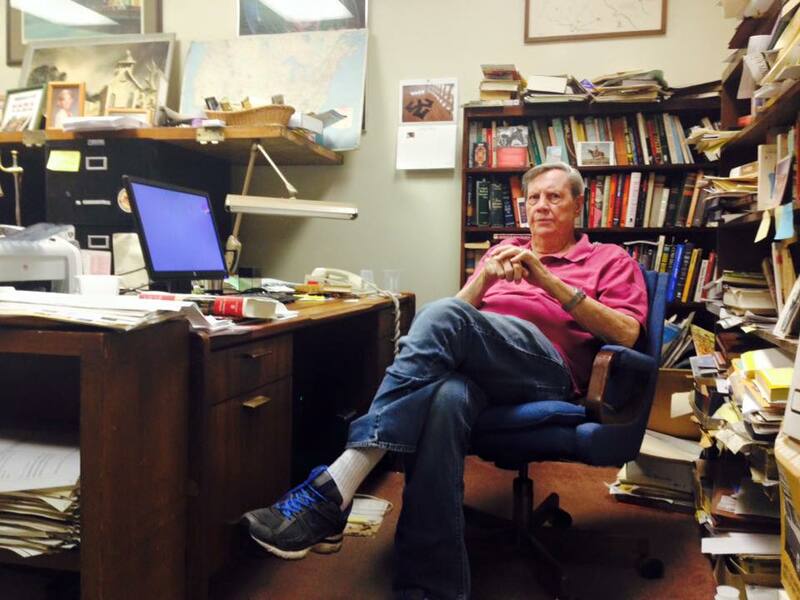 He was a contributing writer to Arizona Highways, True West and Harnett’s Sports Arizona. With Earl Hamner, he adapted The Waltons “The Conflict” into a stage play available through Dramatic Publishing, with permission of Earl Hamner and Warner Brothers. He published the first two volumes of his American Trilogy, Purgatory Road: The Road Between Heaven and Hell in 1951 Arizona, Forever More: Only the Beginning, when Charlemagne visits 1954 Virginia and meets God, Desegregation and Rock and Roll. At the time of his passing, Jeb was working on a third volume, Wake Up Little Susie. Rosebrook also published in 2018, with co-writer Nel Jeppsen, his first Western, No Man’s Land, adapted from an unproduced script “Jack Ballard” for Sam Peckinpah and Steve McQueen. His final book, completed with his son Stuart, was his highly personal memoir, Junior Bonner: The Making of a Classic with Steve McQueen and Sam Peckinpah in the Summer of 1971. 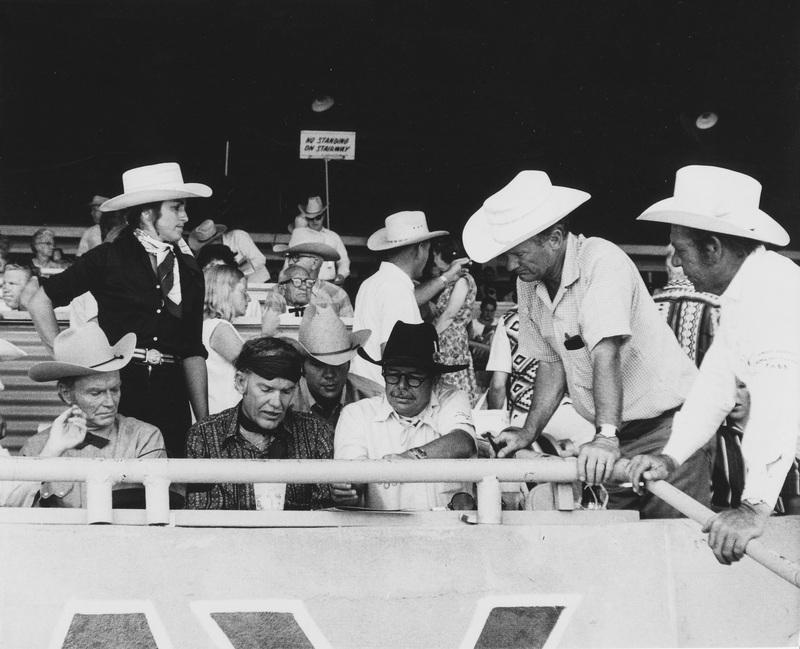 Jeb was also the featured interview in Mike Siegel’s highly acclaimed documentary Passion & Poetry: Rodeo Time, which was a special feature in Disney’s 45th anniversary re-release of Junior Bonner on DVD and Blu-Ray in the fall of 2017. Rosebrook was born in New York City June 11, 1935, the son of John “Jack” Rosebrook, an acclaimed copyeditor at Young & Rubicam and Jean Fallon Rosebrook, an executive at King Syndicate. His childhood reads like a novel: raised in NYC and Connecticut before being diagnosed with childhood asthma and his parents sending him to The Quarter Circle V Bar Ranch School (today, the internationally acclaimed Orme School) outside of Prescott, Arizona, in early 1945. He was nine years old and he would attend boarding school the rest of his childhood. When not at the Orme School in Arizona (where he played multiple sports, competed as a roper, and worked on the ranch), or at St. Leo’s Preparatory School for Boys near Dade City, Florida, Rosebrook spent his summers living and working at his parents farm Falrose Farm, the largest wine grape farm at the time in Virginia, outside of Charlottesville, at Carter’s Bridge. With Christmas breaks either in New York or Los Angeles, and cross-country train rides in between school semesters, Rosebrook’s young life and adventures in New York, Arizona, Florida and Virginia shaped his life as a storyteller. He spent 47 years in the Hollywood business, raising a family in Los Angeles, pursuing his dream. 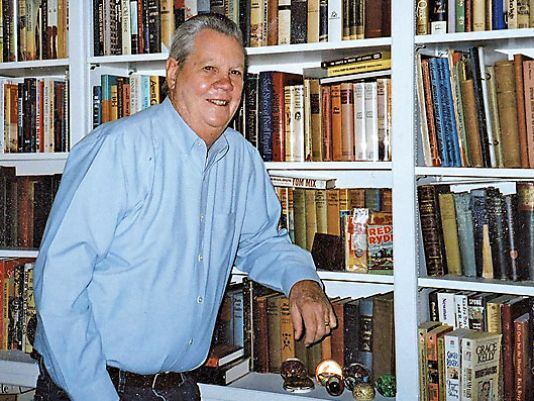 At the time of his passing, Rosebrook had been a Scottsdale, Arizona resident since 1995 and was still developing and writing for film and television, working on two novels and planning his next memoir. In 1996 and in 2016, in honor of the 25th and 45th anniversaries of the production of Junior Bonner, Rosebrook was the honorary grand marshal of Prescott’s Frontier Days Rodeo Parade. He was also a sought-after public speaker on film, television and writing, an educator who taught screenwriting at Arizona State University and Scottsdale Community College and an active member for years as a board member of his high school alma mater, The Orme School and an original faculty member of the school’s Fine Arts Festival. His immediate survivors are his wife Dorothy Eva Fischer Rosebrook of 58 years; his son Jeb Stuart Rosebrook (Julie); daughter Katherine Fallon Rosebrook Goode (Robert); grandchildren Jeb Alan Rosebrook, Kristina Corinne Rosebrook, Fallon Gray Goode and Jack Rosebrook Goode. He was preceded in death by his parents John and Jean Rosebrook. The Rosebrook family requests that donations be made in his honor to The Jeb Rosebrook Vaquero Memorial Fund, at The Orme School (OrmeSchool.org), St. Leo Abbey (StLeoAbbey.org), Washington and Lee University (WLU.edu), the Writers Guild Foundation (WGFoundation.org), Scottsdale Boys and Girls Club (BGCS.org), Hospice of the Valley (HOV.org) or to All Saints Episcopal Church (AllSaintsOnCentral.org). Emmy Award Nominee Jeb Rosebrook’s Books on Sale now at Amazon.com! In 2018 the book “Junior Bonner” was published and in now available for purchase on Amazon, along with the re-release of his acclaimed novel “Saturday” as a 50th Anniversary Edition, and the novel “Forever More: Is Only The Beginning” which the second novel in the Charlemagne trilogy. Both are available in Print and E-Book editions on Amazon now! Take your pick! Then order online with Amazon. 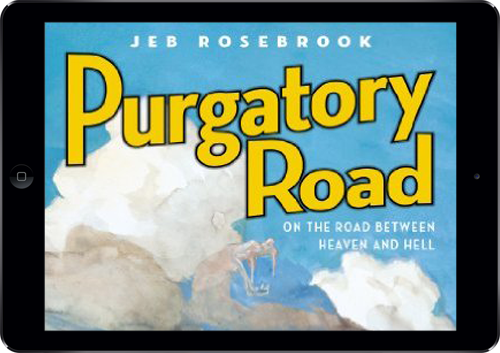 Author Jeb Rosebrook has three books to choose from, “Purgatory Road: On the Road Between Heaven and Hell,” “Forever More: Is Only The Beginning,” and the 50th Anniversary Edition of “Saturday.” You can enjoy your E-Books within minutes, or order paper-backed copies for delivery. Arizona, 1951. Introducing Charlemagne, a deadly Mojave Rattlesnake, who lives on the road between Heaven and Hell, as the town of Apache Falls celebrates its annual July barbecue celebration. Thereby are entwined the fates of a Korean War veteran, a young woman engaged to a 1950s marriage, her mother, who believes this to be the last day of her life, a pyromaniac barber, and a man known as The Redeemer, in search of Snakes for Salvation. In the vein of Thornton Wilder’s Our Town, Purgatory Road brings together an unforgettable cast of characters in the midst of time and drought and one of the most memorable softball games ever to be put on paper! In 1954 Virginia, the Arizona Mojave rattlesnake named Charlemagne is sold to a Pentecostal snake handling preacher. Here, a new adventure awaits a deadly rattlesnake who is no stranger to striking a venomous death to those who seek to control his life and fate. This story also brings to life Johnny Ray Rambo, a Black Korea war veteran, and an aspiring R&B song writer in Los Angeles, and tells of Rose Marie Deveroux, a devout young Catholic woman fighting the forever disease of schizophrenia and an unsuspecting young man, who discovers love in her body and a soul. All are bound together Labor Day weekend, Virginia, 1954.
has received wonderful praise from readers! Jeb Rosebrook’s book one of a planned trilogy really sets the stage for the remaining two volumes. Jeb’s background and skill as a screenwriter comes through quickly, strongly and descriptively as each of the characters including Charlemagne, the nine year old Mojave rattlesnake, are so well developed that you instantly form mental images of how they must look. The dialogue is colorful and period accurate as Jeb describes various scenarios. Jeb also captures the dominant attributes and the subtle differences, distrust and competitiveness between the various ethnic groups within the developing story line. Lastly, while the dusty dirt road named Purgatory is a physical road it is also a metaphorical road for those characters who are seeking redemption. A great read on many levels. As someone who grew up in an AZ mining town in the 50’s, I was immediately captivated by Purgatory Road. Jeb Rosebrook has a great talent for capturing the mood, the sounds and smells of the place. His ear for dialogue and strong research allows him to place interesting characters into situations where all the stresses of living come to a head. Over one long day he brings together bikers and townspeople, Mexicans and Anglos, miners and ranchers. He stirs their passions with a baseball game, adds unlimited whiskey and beer and then washes the present away with the storm of all storms so that the future can start to play out. Can housing developments and shopping centers be far behind? I eagerly await the next volume of Jeb’s trilogy. Follow the adventures of individual ‘characters’ – some more outrageous than others through entertainment in the rural southwest. The small town characters are intertwined in traditions and history. The big ‘city’ characters add sexual tension and intensity. Beautiful descriptions of the desert Southwest and it’s unique smells and colors. 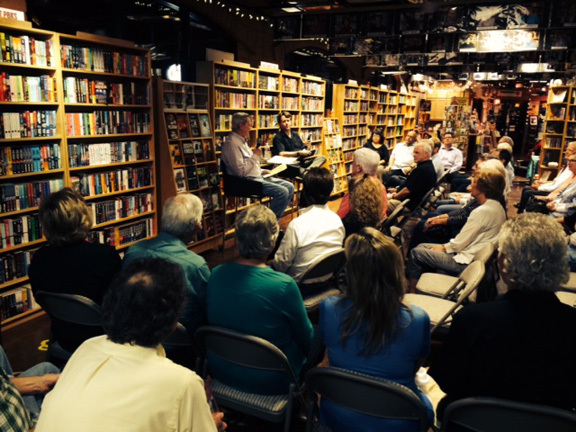 The baseball game, the grief of war, the romance – each story layered and woven together. Once the baseball game started, I couldn’t put it down, and I don’t even like baseball. First of all suspend your disbelief, and be prepared for a carpet ride ala Latin American magical realism. An Intelligent five foot rattler, floating Nash, sixty year old, home run at every bat, soft ball player, barber in barber chair ending up on a hill after a biblical Flood,floating occupied hotels and houses…the list is endless. Jeb’s dialog is right on and his imagination is boundless. All aboard. Purgatory Road is a novel that immediately transports the reader to another time and place – a small town with people we’ve all known. 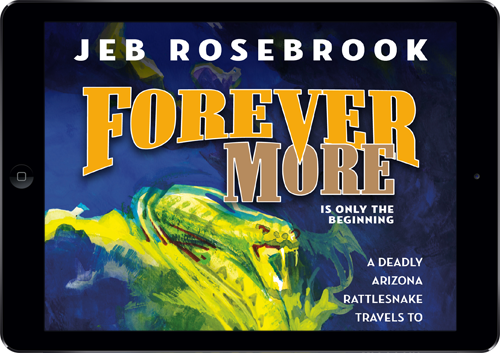 In a style reminiscent of John Steinbeck, Jeb Rosebook draws the reader into the moods and feelings of the people he creates. Immediately I knew these characters – they were so well developed that I found myself thinking about them hours after I put the book down. This book was worth reading. I found out about it since I read that the author was doing a book signing. I didn’t go to the signing but bought the book to see what it was like. When in Arizona I buy local authors which I also do in the pacific northwest when there. This book is set in a mining town in early 1950s Arizona. It is not Our Town but it does provide some good descriptions of the townspeople. It is primarily set across one day with plenty of flashbacks, particularly to WWII and Korea. Some back story is also included. The plot didn’t fascinate me but things happened that kept me going. It is short and easy to read. American television writer and producer, best known for his work in the 1970’s and 1980’s on the long-running CBS series The Walton’s and Falcon Crest.